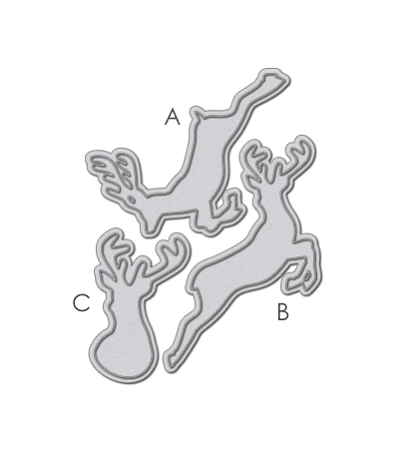 The Stag Trio Die contains 3 individual dies. Approx. Measurements (A) - 2 3/8 x 2 3/4" (B) - 2 5/8 x 2 7/8" (C) - 1 1/4 x 2"